Full of protein and healthy fats, salmonalso contains iodine, which is necessary for proper thyroid function and a healthy metabolism, according to researchers at Oregon State University. As an added bonus, the omega 3 fatty acids found in the fish may help to reduce inflammation throughout the body, according to the Mayo Clinic. Protein rich eggs are a great breakfast choice. A study in the Journal of the American College of Nutrition found that women who ate two scrambled eggs and two slices of toast with low calorie jam consumed less food over 36 hours than women who ate a bagel, cream cheese and fat free yogurt. The meals were of equal caloric value, but those who ate eggs felt more full. A University of California at Davis study, published in the American Journal of Clinical Nutrition, revealed that Cholecystokinin, a digestive hormone found in beans, acts as a natural appetite suppressant. Beans are also helpful in keeping blood sugar and cholesterol levels in check. Green tea is packed with antioxidants called catechins that are known to speed up metabolism and may help to burn fat. According to papers published in the American Journal of Clinical Nutrition, studies show that tea drinkers have lower waist to hip ratios, Body Mass Indexes (BMIs) and less body fat than non tea drinkers. 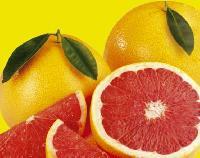 Grapefruit can be a great weight loss food. It contains phytochemicals that reduce insulin levels and help to convert calories into energy instead of fat. A study at the Scripps Clinic found that subjects who either ate half a grapefruit or drank an 8 ounce glass of juice before each meal lost more weight than the control group. Grapefruit can have a harmful interaction with certain medications, so check with your doctor before incorporating the fruit into your diet. 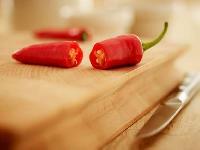 Include hot red chilies in your daily diet to help lose weight. Researchers at the University of Wyoming found that the capsaicin in chili peppers may stimulate heat production in a person s bodyand in turnincreased energy expenditure and fat oxidation. Dr. Linda Rector Page writes in her book Weight Loss and Cellulite Control that sprinkling a little cinnamon in your coffee or tea can help curb post meal sugar cravings. Cinnamon also aids in lowering cholesterol and blood sugar levels in Type 2 diabetics according to a study at the Beltsville Human Nutrition Research Center in Beltsville, Maryland. 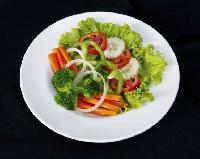 Eating a big salad, minus the creamy dressing, is a good way to keep your weight in check, but not just because salads can be low calorie. They are filling, too. Researchers at Penn State University observed 42 women, and those who consumed a large salad ate 12 percent less all you can eat pasta afterward. 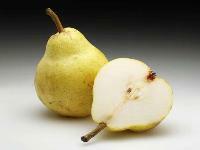 Three pears a day will help to keep the excess weight away. The pectin fiber found in pears helps to keep blood sugar levels in check, which in turn prevents snacking between meals. A study at Universidade Federal do Amazonas in Brazil found that women who consumed three pears each day lost more weight than women who at three small oat cookies and were on the same diet. A study at Purdue University in Indiana determined that people were more full after eating soup than after eating a chicken breast. Researchers proposed that cognitive factors were in play, or, In other words, the subjects brains simply found the soup to be more filling.